One of Austria's top resorts and the third largest community in the Tyrol, but it has managed to retain the ambience and architectural integrity of a traditional Tyrolean village. The skiing takes place on two separate mountains, the larger of which is reached by the impressive Penken cable car. The local ski area is extensive, but the Super Zillertal pass increases the maximum to more than 639km. 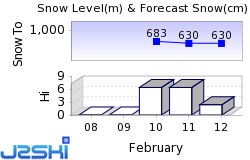 The next notable snow forecast for Mayrhofen is 36cm14in, expected on 27 April. The Austrian Ski Resort of Mayrhofen is part of the Zillertal ski area with access to 489km304 miles of downhill skiing, with 91 marked pistes, served by a total of 177 ski lifts. In addition to the skiing in Mayrhofen itself (139km86 miles of pisted ski runs), the appropriate ski Lift Pass will allow you to ski or snowboard in the other Zillertal ski resorts of Fügen, Hippach and Tux - Finkenberg. Mayrhofen is directly linked by Ski Lift to the ski areas of Hippach. With ski lifts as high as 2,500m8,202ft, snow cover is generally reliable. Mayrhofen has a long standing place in the upper ranks of the world's winter sports resorts, blessed as it is with extensive ski areas. The town's location in the wide and flat bottomed Ziller Valley adds to its appeal, as the Valley is famous for the classical beauty of the surrounding mountains. 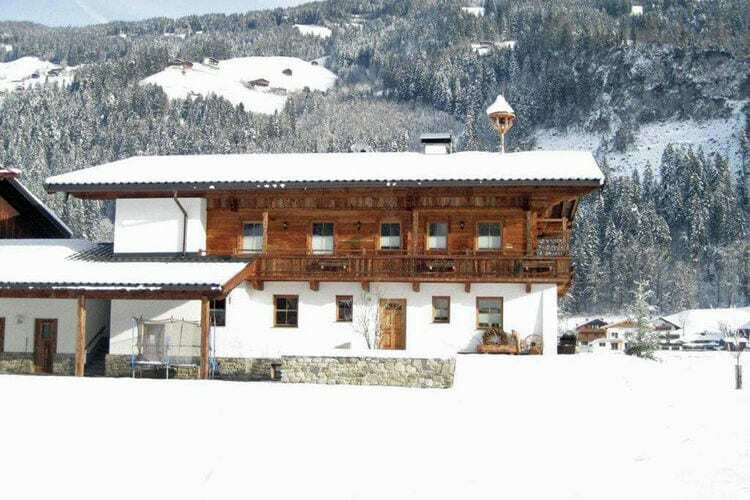 The buildings in the town are almost all of traditional Tyrolean chalet design (albeit on a giant scale in some cases) giving the resort itself a natural ambience and a picturesque image in common with its surroundings. The water flowing in to the water fountain and through the hotel taps comes direct from the mountain springs above. One of the best equipped mountain resorts in Austria and one of the few towns in the province (although with a population of less than 4000), Mayrhofen covers 178 square kilometres and is the third largest community in the world famous Tyrol. Popular as a climbing and walking area for over 100 years, the town began as 'Meierhof' an estate belonging to the Archbishops of Salzburg and first mentioned in 1200 AD. It was not granted market town status until 1969, but three years later was granted the Flag of the European Council because of its partnership with towns and villages in neighbouring countries. Today this flag waving is proven correct by the fact that only 7% of Mayrhofen's clientele arrives from other parts of Austria, with nearly 50% making the short drive over the border from Germany, nearly 20% arriving from the UK and 9% from the Netherlands. The most difficult run is the 'Harakiri'. Mayrhofen's main local skiing area is the Penken, linked to the edge of the resort by a gondola (opened in 1995). A ski bus runs every 15 minutes linking this and the second gondola access to the Penken, the Horbergbahn down the valley and the cable car up to the resort's second ski area at Ahorn, with key points in the town. Both are largely covered by snow-making technology. The Ahorn area is popular with beginners as it has almost exclusively easy slopes around the top and a chance to relax at the White Lounge. However the famous 5km (3 miles) long Ahorn Valley Run does run down this mountain. Beginners will also find key areas at the summit of the Penken to be the domain of learner skiers. Mayrhofen's skiing is classic country for intermediate standard skiers who will enjoy endless opportunities on the Penken, including long trails down to neighbouring Finkenberg. Better skiers will spend most of their time on the Penken, with the popular Devil's Run on the linked Horberg mountain. Head for the Knorren side first thing in the morning as thats the first spot to get the sunshine. The Zillertal 3000 partnership with neighbouring Finkenberg, Eggalm and Rastkogel opens up still more extensive possibilities and there are popular itineraries around the area. Another option is to take the bus to other resorts on the Zillertaler Super Skipass which opens up over 480km (300 miles) of trails and 160 lifts, including the guaranteed snow trails of the Hintertux glacier. The bus is free to Pass holders. 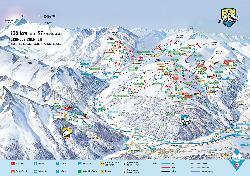 The resort has four ski schools employing around 150 instructors, many English speaking. Known to snowboarders as 'Big M', Mayrhofen is very snowboard-friendly, even bravely claiming to speak the language of 'snowboardish'. One of the mountain's hot spots for boarders is the Gerent ridge, beautifully described as slightly incalculable by the 'in crowd' (who tend to congregate in the Scotland Yard pub at the end of the day). Otherwise the Penken offers wide open cruising terrain. The Penken Park is at the 'Hintertrett' and has been regularly extrended. All the rental shops have boards and all the ski schools have snowboarding tuition on offer, but Action Club Zillertal and Mountain Sport may appeal more if you already know the basics. Both offer all the OTHER winter action sports. Usual opening is late November, and usual closing is Late April. NOTE:- Lift and Piste openings are always subject to Snow Conditions in Mayrhofen. Mayrhofen is able to make snow, on 109km68 miles of ski runs, with 147 snow cannons. The 58 ski lifts of Mayrhofen are able to uplift 60,450 skiers and snowboarders every hour. Mayrhofen is in the Austrian Alps in Brändberg, Schwaz, Austria. The nearest airports to Mayrhofen are Innsbruck Airport, Munich and Salzburg. There are five airports within three hours drive. Innsbruck Airport is just one hours drive away, in good driving conditions, so you can be on the piste quickly. The Webcams in Mayrhofen are not always up-to-date. Please check the date on the image to ensure you are seeing current snow conditions. Mayrhofen has one of the liveliest après ski scenes in the Alps with a wide range of bars and discothèques in action through in to the small hours. Names that crop up in numerous reviews include the Sport Arena Disco, Ice-bar, Niki's Schirmbar, Scotland Yard, Mo's, Apropos and the Movie Bar. The ‘Ice Bar’ at the Hotel Strass and ‘Nikki’s Schirmbar’ are top spots for the afternoon, whilst ‘Scotland Yard’ and ‘Brücke’s Schlüssel Alm’ are the best to take you late into the night. One of the hippest spots in the Alps, is the ‘White Lounge’, part of the Igloo Village, located in the middle of the Ahorn ski area at 2000m. Every Tuesday is party night with live DJ spinning the decks at the big Igloo Party. After a night of stylish partying there is no need to hail a cab home...or a cable-car for that matter as by night the White Lounge turns into one of the most exclusive overnight accommodation venues. At Europahaus music concerts of all types from pop, through jazz to classical are staged. Bowling rinks are open at the Hotel Neuhaus and at the Keghelbahn. Other Ski Areas within Zillertal. Other popular Ski Areas near Mayrhofen. Want to ask about skiing and snowboarding in Mayrhofen? Or contact Mayrhofen Tourist Office. Note :- The information on J2Ski concerning Mayrhofen, where not clearly factual, is opinion only and is neither definitive or exhaustive.